This third volume continues the publishing program to collect the stories of Science Fiction Grand Master Jack Williamson. 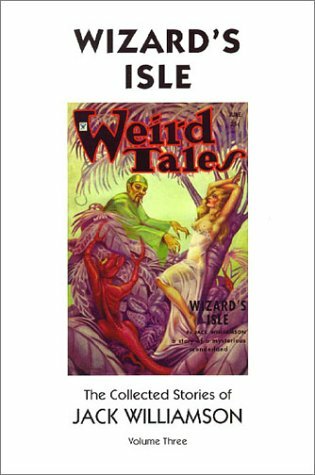 Drawn from such classic pulp magazines as Astounding Stories, Weird Tales, Wonder Stories, Amazing Stories, and Thrilling Mystery, this volume features sixteen tales (including a novel-length adventure, “Xandulu”), seven of which have never been published in book form. With a foreword by author, and long-time friend of Williamson, Ray Bradbury, Wizard’s Isle contains the sense of wonder from the early years of American Science Fiction and continues the documentation of Williamson’s unparalleled career.